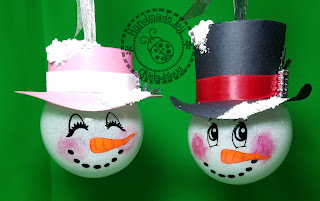 When your friend gets on Pinterest and knows you are a crafter you end up doing things you never dreamed of and this project was one of those things! 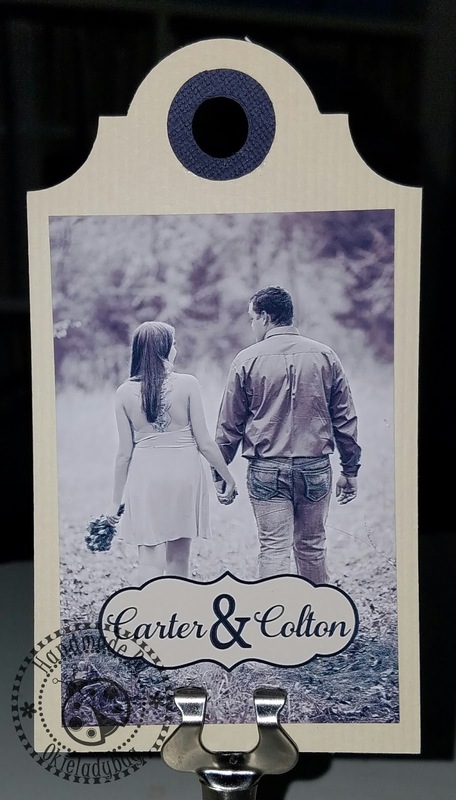 My friend Khrystal was trying to find things for decoration for the rehearsal dinner of her son's wedding and found some napkin tags and wanted to know if I could make them for her and of course I said yes! I tried several different styles and this is the one that I decided to use. 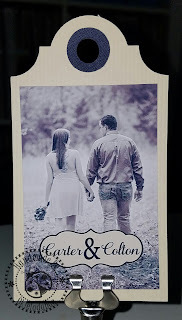 I used Make the Cut to design the name banner and then saved it as a raster file and uploaded it in Paint.net and added it as a new layer to one of the engagement photos. I cut the tags in Cricut Design Space and it's been awhile since I did these so I can't remember if it was a Cricut image or if it was one that I came up with from something else but it worked great with the photo. I cut 2 circle stablizers and put one on the front and one on the back so she wouldn't have to worry about the tag tearing when she tied them on the napkins. I think the only thing I would have done differently now that I look back is that I would have inked the edges but since these were likely going to be thrown away I didn't want to take the time and energy to do all the inking...and since Khrystal has no idea what inking is she will never know how much better they would have looked with inked edges *okie cracks up laughing*. Khrystal used some raffia to tie the tags on to the napkins and I have since lost that picture *okie wonders what the heck she did with that thing and figures it's on her old computer somewhere* and they really looked good. 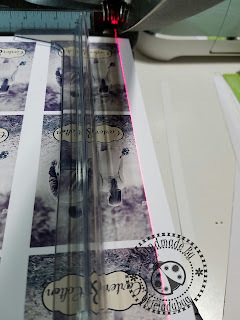 One of the things that really helped when I was cutting the photos was my Xacto Laser Trimmer. I love that thing but it is frustrating at times because I have to go back in and reset the laser to line up correctly. It's a bit of a pain because you have to unscrew a cap area and take it off and then get a screw driver and turn screws to get the laser lined up again. 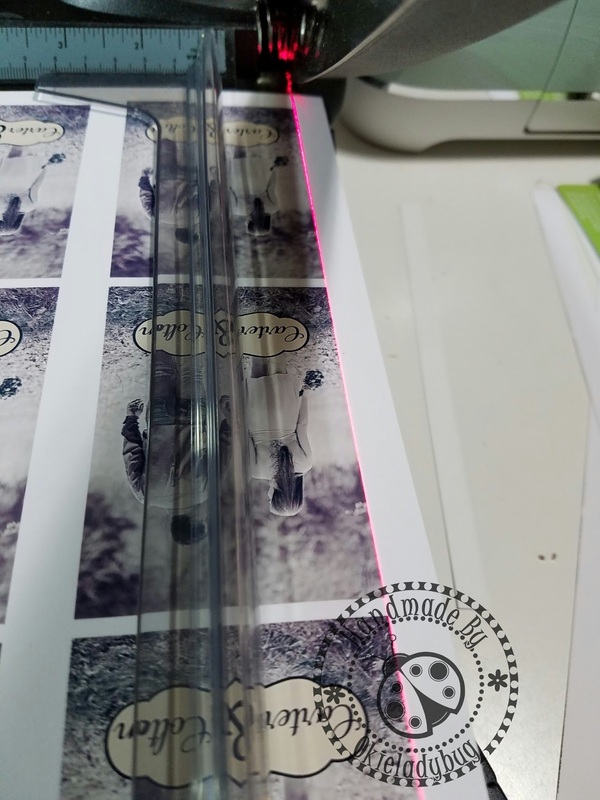 As you can see in the photo it helps to see where you are going to be cutting and as we know things don't always print straight and this takes care of not ending up cropping a photo crooked. I would give the Xacto laser trimmer two thumbs up but since the laser seems to be a bit touchy and has to be adjusted every so often I will only give it 1 1/2 thumbs up. Oh WOW, I love these. 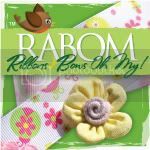 What a great idea for napkins tags. I've never seen this before. You did such a fabulous job on them, I know your friend Khrystal must have been beyond thrilled with them. That Xacto trimmer looks amazing, the laser trimmer look great. I can see why you like it so much.